Tiny AutoRun is a free utility that displays a tree of programs to install from a custom burned CD. It loads a list of programs from a simple text file and displays a tree with descriptions for each program and the command line ran to install the program. 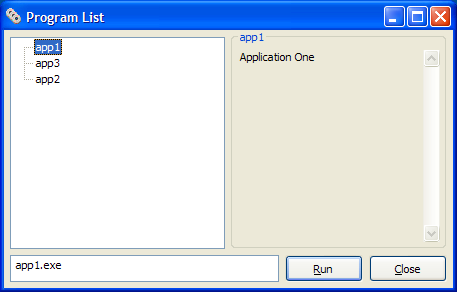 The Run button will launch the command to install the selected program. v1.10 - Now with Windows XP theme support, and new flags to set the initial window size and to hide the run command edit box.